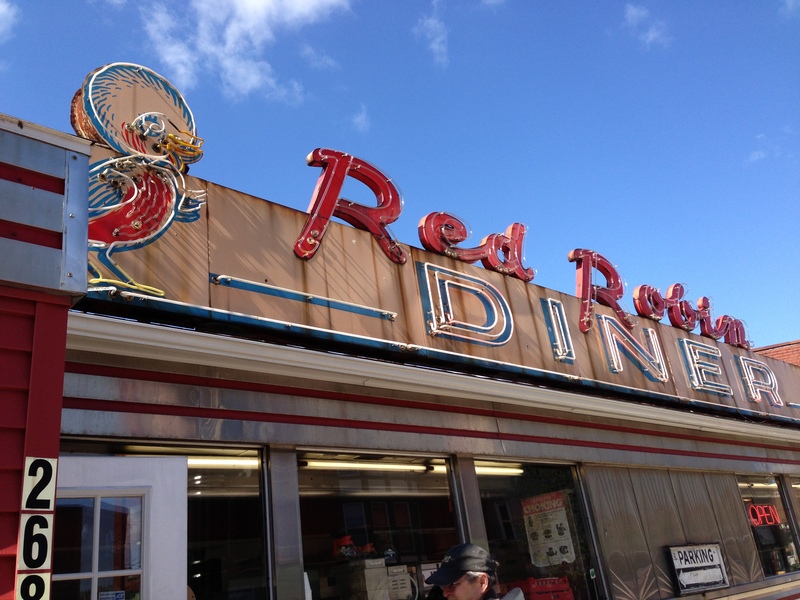 Still on the trail of indies – indigenous landscape elements – in the Binghamton area of New York, we came to this classic diner for a classic diner breakfast. With its fetching signage. The eggs not-so-bad, not-so-good, but a totally intact red leatherette interior, chrome that wouldn’t quit, and self-knowledge in the form of that Norman Rockwell Saturday Evening Post image “Runaway” pasted up on the wall. 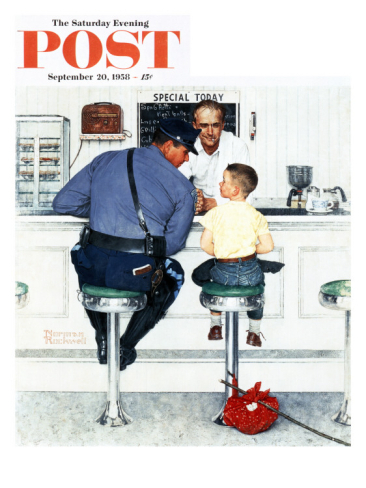 A cop and a little boy on the run trade secrets while sitting atop a diner’s spinning stools, as if it was painted from life in this very diner. It’s spring, didn’t you know? 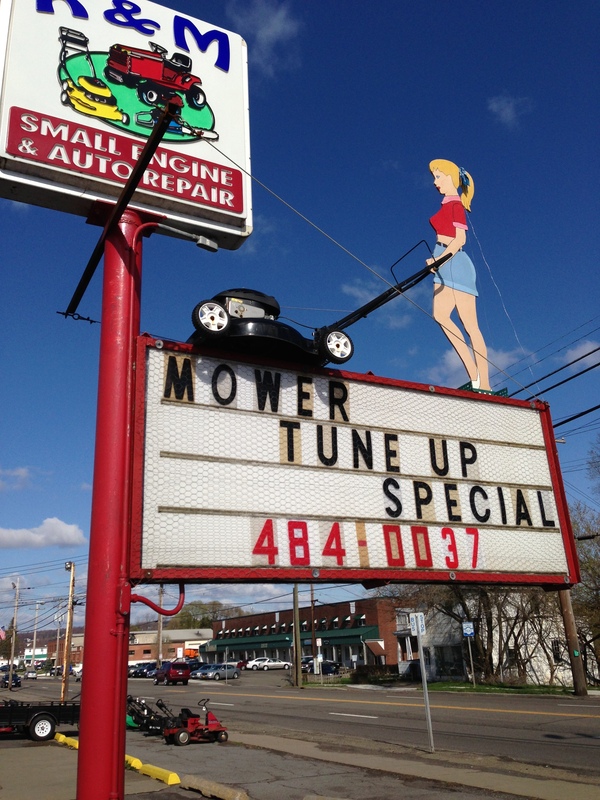 Time to get your lawn in gear. Crappy motels have the best signs. 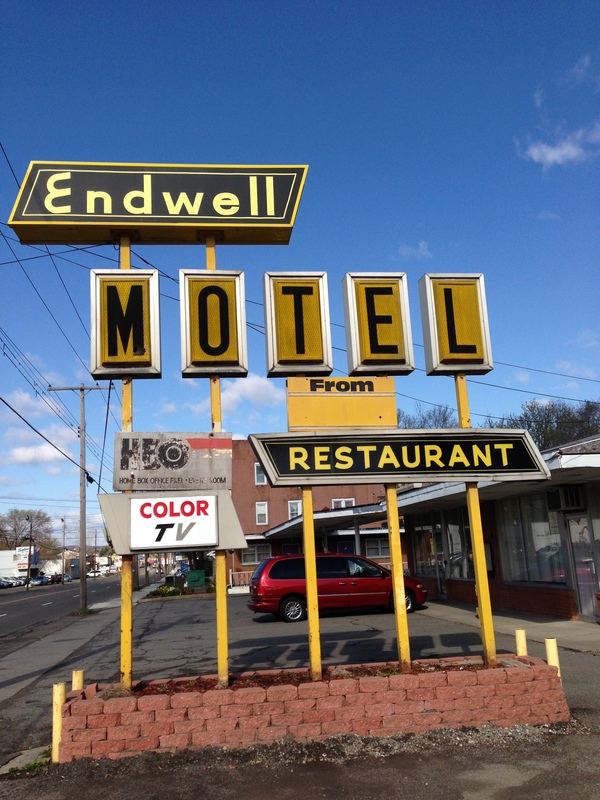 Endwell is actually the name of a town, not just the end of a famous saying, and not just how you hope it’s gonna go when you check in. 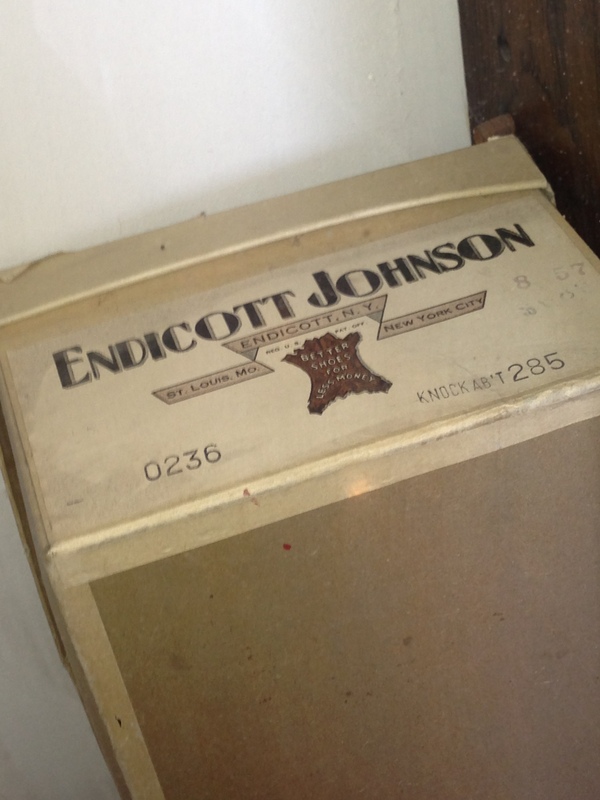 Endwell, along with Endicott and Johnson City, were three communities renamed by shoe-leather magnate George F. Johnson when he took the area over in the 1920s. Endwell was a brand of shoes. Universally known as George F., the irrepressible mogul came up through the ranks of local shoe workers and, when he made it to the top, did things like build churches and schools in his effort to provide what he called the “square deal” for his workers. 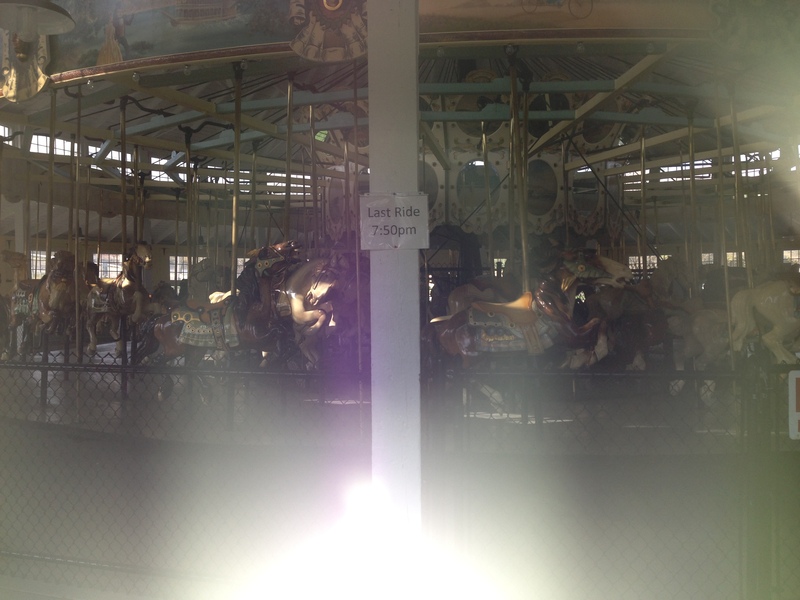 He installed five elaborate carousels within a 20-mile radius. This one’s not open until Memorial Day and they keep it locked up tight. We wanted so badly to get in, we pressed our noses up against the windows like a couple of Norman Rockwell kids. 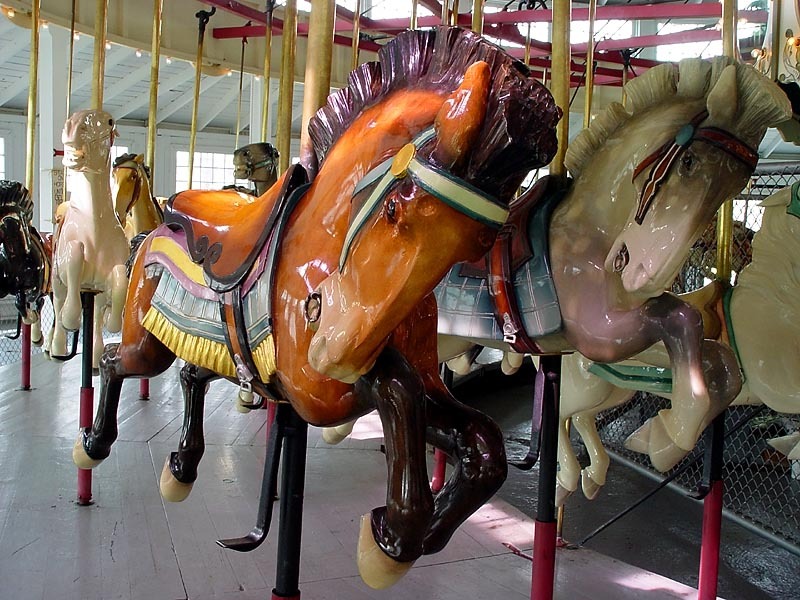 The carousel was built in C. Fred Johnson Park in 1923 (the Johnson name proliferated with his success) and has 72 figures four abreast, with all the carving, bevelled mirrors and scenic panels intact. We’ll have to return some time for a ride. There’s no admission, but you’re supposed to contribute a piece of litter. George F. wanted to keep his workers happy so they wouldn’t think of unionizing, and it seems he was successful. 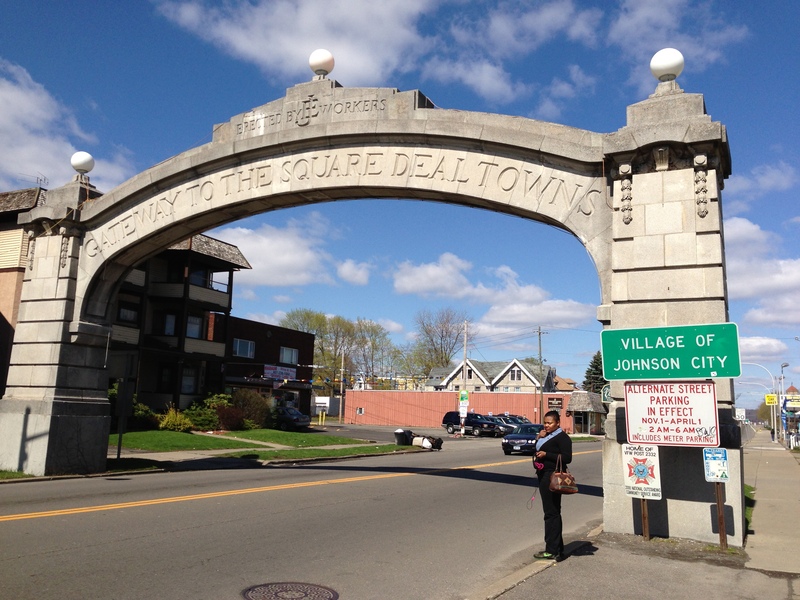 “Gateway to the Square Deal Towns” reads the welcome to Johnson City. We stopped at this bold and blocky indie sign. Could this actually be the name of a small town library or was it more in the line of an exhortation? A bit of both, it turns out. 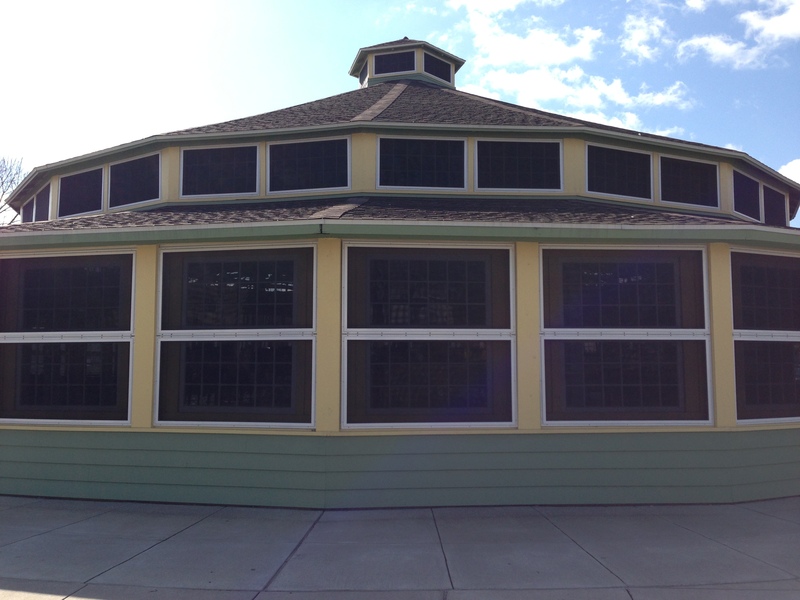 Inside, there was more about the George F. era and legacy in a series of glass cabinets. An original shoebox, from the glory days long gone. 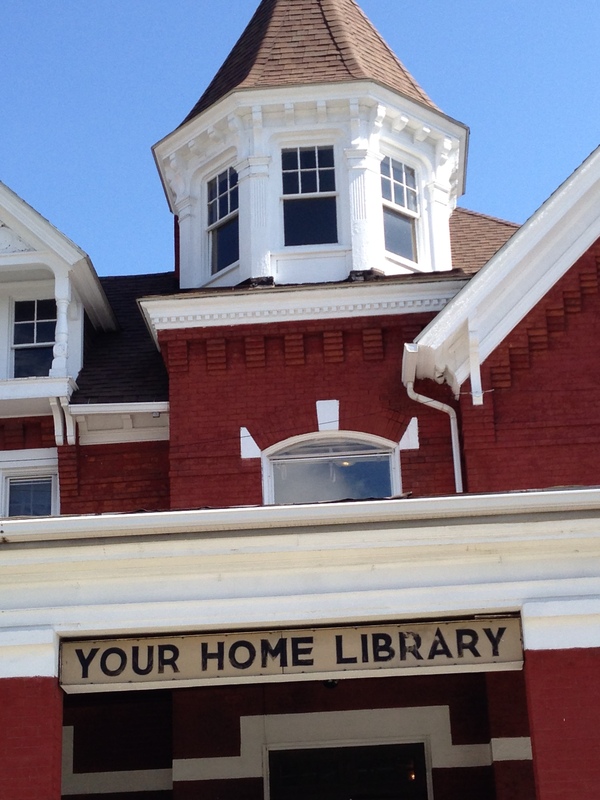 Your Home Library was originally built as a residence by Elijah Bridgham in 1885 with bricks from his own brickyard. 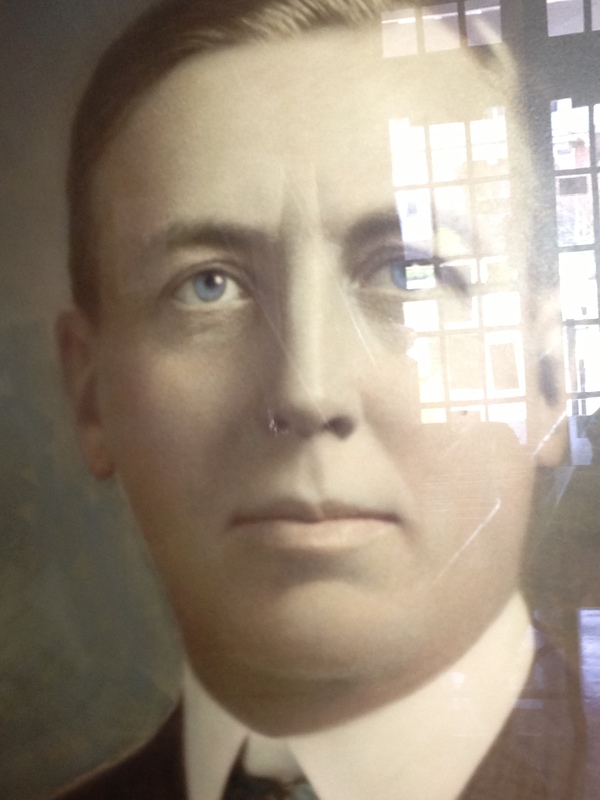 Harry L., the younger brother of George F., made it an institution in 1917. Soon there were dining rooms, children’s rooms, sewing rooms. “Your Home Library was his conception of a home atmosphere and home freedom for the community,” said Rev. William MacAlpine at the dedication of the Harry L. monument in 1922. Home freedom? All kinds of indies, everywhere you looked. 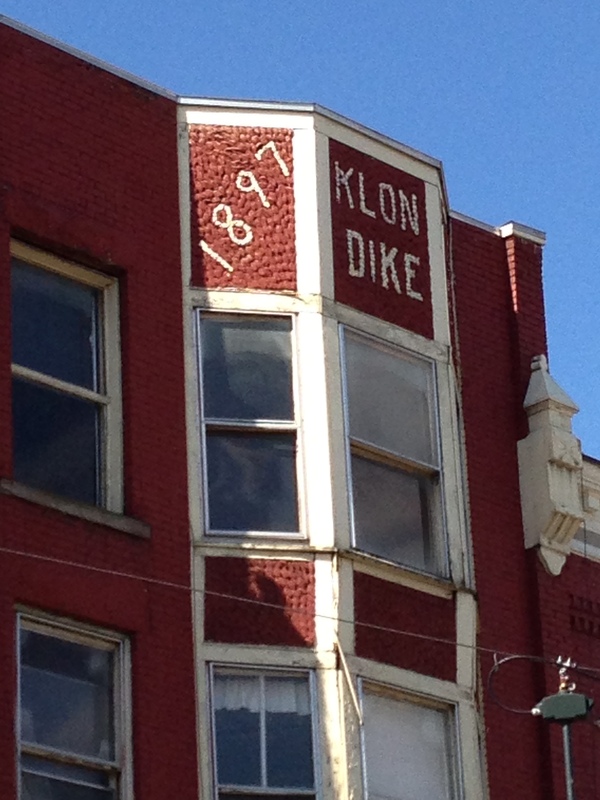 Perhaps a building endowed by the Klondike Bar magnate? You never known in these parts. We passed several examples of the ice cream school of signage, which often presents a tasty homemade effort. 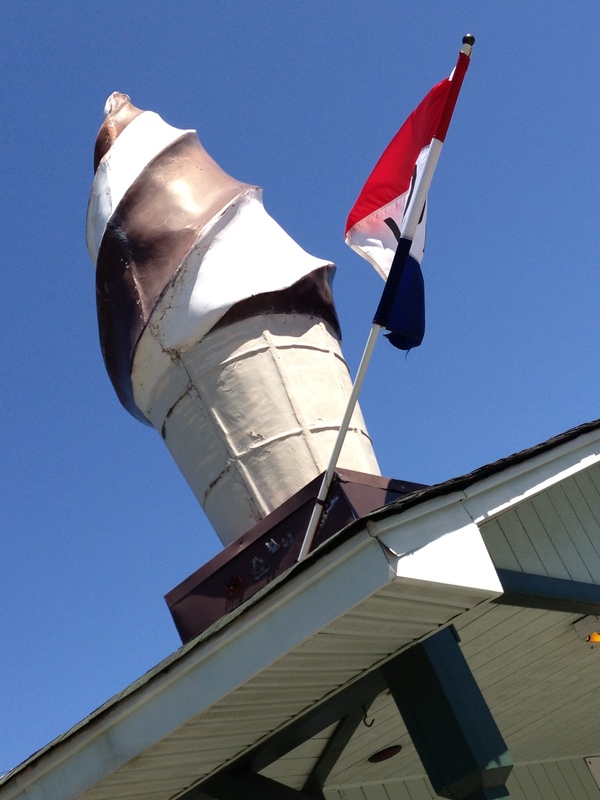 Fortunately, this was one of the soft ice cream joints that has survived intact beneath its sign. 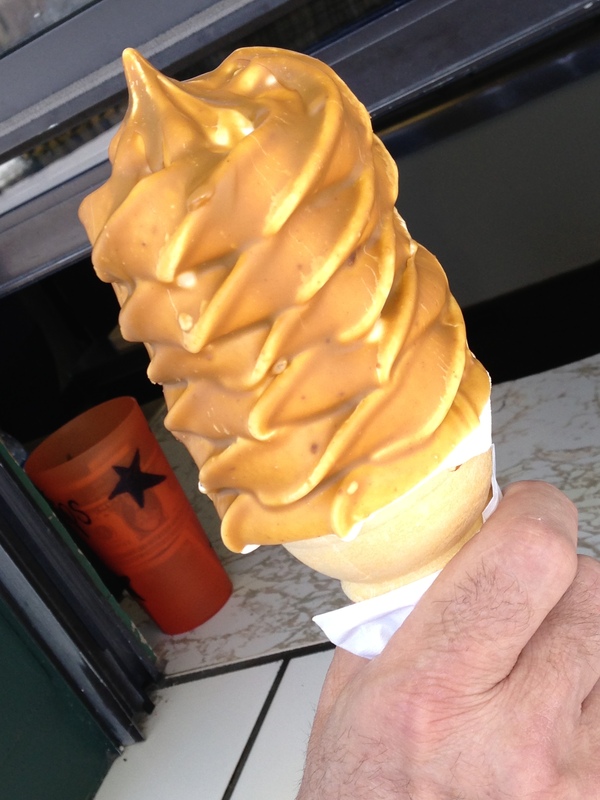 It even offers a peanut butter dip. Vanilla shake in hand (no yellow cake or panda tracks for me) it was time to head for home. We have indigenous creations there too. And thanks for continuing to read… and commenting! It’s great to hear how people react to what I write here! 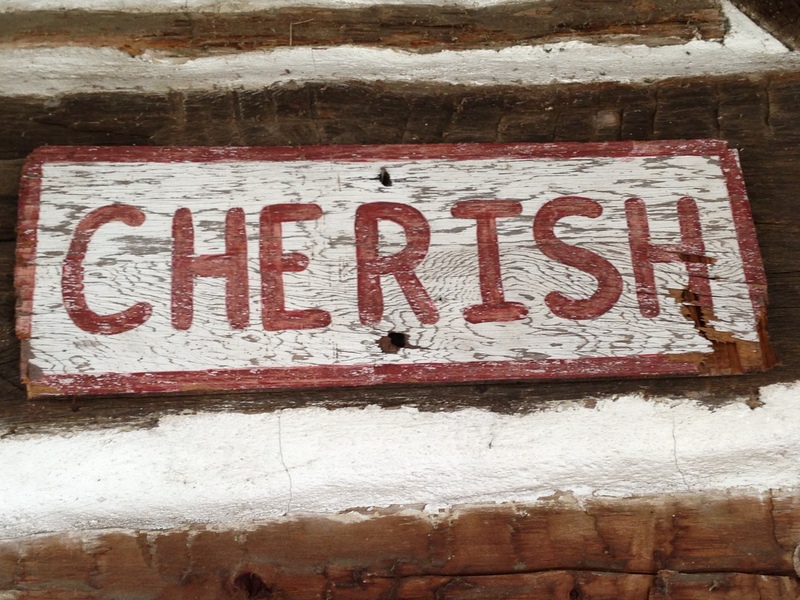 Cherish is the word. By association … another appropriate exhortation! Thanks for sharing your ramblings! I use it to cover a swath of built things, signs, which I love, but also the odd bits of the environment that tend to get lost in the wreck of modernization. A handy catch-all to discuss it all. Okay, I’ll admit it. I don’t know what you mean by indies. Is it somehow a reference to vernacular architecture or signage?